Earlier this week, the highly private actor Daniel Day-Lewis scored a victory in his ongoing pursuit to keep his private life to himself. Family photographs and documents belonging to the Lincoln star were due to go up for bidding at Bloomsbury Auctions in London on September 4. But after Day-Lewis complained, the items were pulled off the block. This albeit evasive opportunity for fans to learn a little bit more about their favorite movie star leaves devotees still hungry for info. 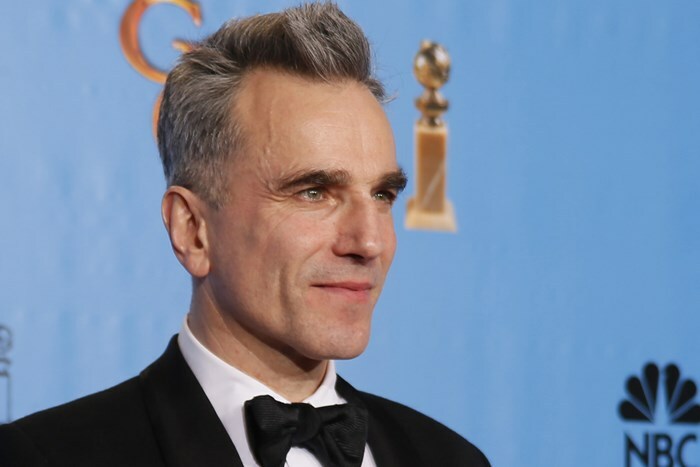 So here are ten thing you may not know about Daniel Day-Lewis. Day-Lewis was just 14 years old when he made his feature film debut in 1971's Sunday Bloody Sunday. He played a very small role as a child vandal in the British film starring Peter Finch and Glenda Jackson. It would be another decade before more movie work came his way. His dad, Cecil Day-Lewis was the U.K. poet laureate from 1968 to his death in 1972. The actor recently donated all of his father's papers to Oxford University. Included in the 54 boxes were drafts of Cecil's works, letters from John Gielgud and numerous literary figures. As a student, Day-Lewis had two main interests — carpentry and acting. He applied for an apprenticeship with cabinetmaker John Makepeace. But when he was accepted into the theatre program at the Bristol Old Vic, he decided to become a thespian instead of a craftsman. Although he chose acting as a career he never lost his interest in artistry and craftsmanship and between movies is known to work as a cobbler in Italy. He oftentimes, puts so much energy into a role that after filming, he sometimes retires for several years in a stretch and works repairing and building shoes in seclusion. Although known to have dated several of his famous co-stars including Juliette Binoche, Saffron Burrows and Julia Roberts, Day-Lewis settled down in November of 1996. He married Rebecca Miller, the daughter of famed playwright Arthur Miller. The couple have two children. Day-Lewis notoriously takes "method acting" to a whole new level. He oftentimes immerses himself in a role to the point of on occasion bringing physical harm to himself. It has been said that on the set of Gangs of New York he got sick because he refused to wear clothes other than his threadbare costume because the warmer overcoats would not have existed in the 19th century. When filming My Left Foot he spent the entire production period in a wheelchair and was also spoon-fed and given sponge baths to learn what it would be like to have cerebral palsy. And while filming Last of the Mohicans he didn't go anywhere, including to a Christmas dinner, without his 12-pound flintlock gun. While many marvel at the roles Day-Lewis has taken on with mastery, some wonder what it would have been like had he taken some of the parts he was in the running for. Through the years he was considered for Aragorn in The Lord of the Rings trilogy, Andrew Beckett in Philadelphia, Jesus Christ in The Passion of the Christ, Chris Kelvin in Solaris, Sid Vicious in Sid and Nancy, Jor-El in Superman: Man of Steel, Count Laszlo de Almásy in The English Patient and Simon Templar in The Saint. One of the roles Day-Lewis turned down was that of Andrew Beckett in Philadelphia because he chose instead to play Gerry Cohen in In the Name of the Father. Both actors were nominated for Best Actor Oscars for their portrayals, but Hanks took the big prize that year leaving some ton wonder if Day-Lewis had chosen the wrong part. In his illustrious career he has shockingly only been nominated for only five Academy Awards and has one for only three (My Left Foot, There Will Be Blood and Lincoln). In doing so, however, he is the first non-American to take home three of the golden statues. Director Steven Spielberg reluctantly delayed filming for the Day-Lewis' exploration into Abraham Lincoln. He took a year to research the President including the timber of voice. Rather than the boom of an orator, which most expect from the 16th president, Day-Lewis discovered Honest Abe's voice was most likely much more high-pitched and nasally.